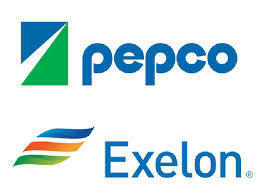 Exelon Corp. and Pepco Holdings, Inc., said Monday they accept the conditions and customer benefits outlined in the Maryland Public Service Commission’s approval order of their merger. The merger will form the leading gas and electric utility in the Mid-Atlantic. The merger combines Exelon's BGE, ComEd and PECO and Pepco Holding’s Atlantic City Electric, Delmarva Power and Pepco. Maryland becomes the fourth entity to approve the merger, with state, federal and corporate bodies on board. Exelon and Pepco are still waiting on approval from the District of Columbia and Delaware. “We look forward to delivering on the commitments we’ve made and which the commission has expanded: economic benefits, as well as increased reliability, energy efficiency and clean energy, as part of a long-term commitment to Maryland,” Pepco Holdings Chairman, President and CEO Joseph Rigby said.